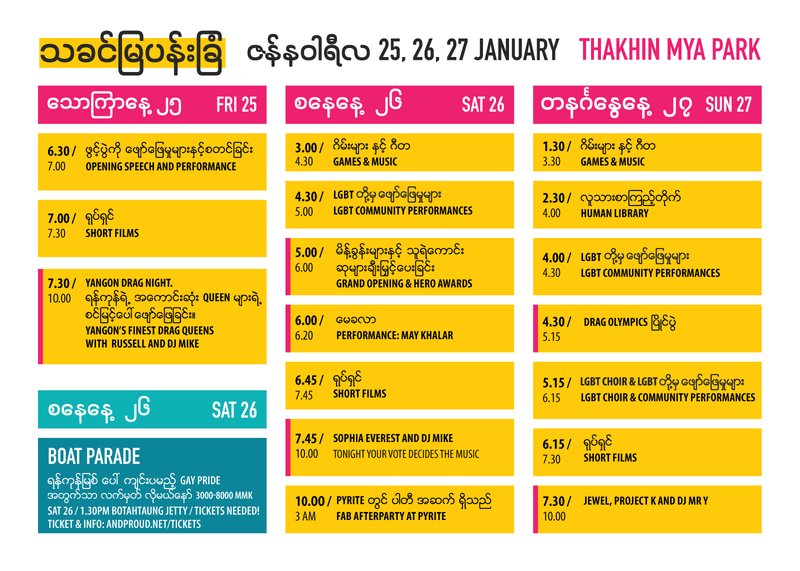 &PROUD is back and bigger than ever - and to celebrate our fifth edition we are changing the name of our Yangon festival to Yangon Pride. All our events are free and no tickets are needed. Except for the boat parade, for which limited tickets are available. 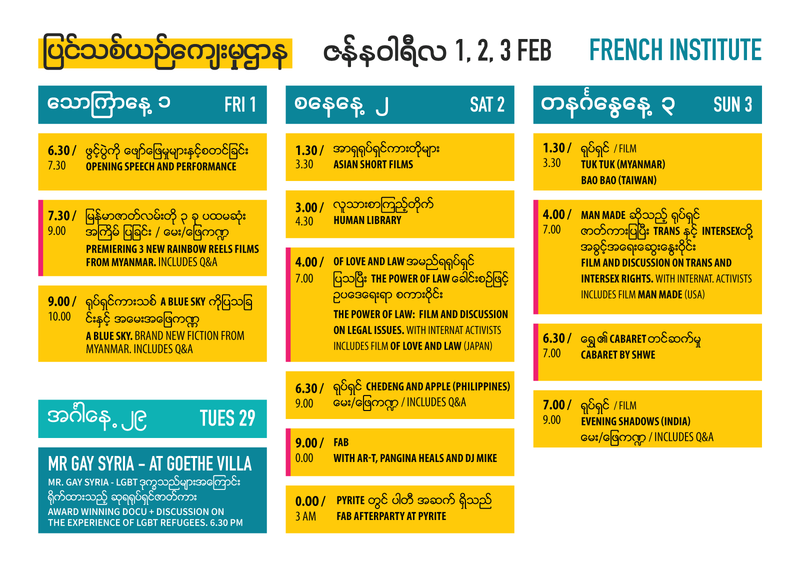 Here's the schedule for Thakhin Mya Park and French Institute. But we recommend you to check the facebook events, where we post up-to-date info.